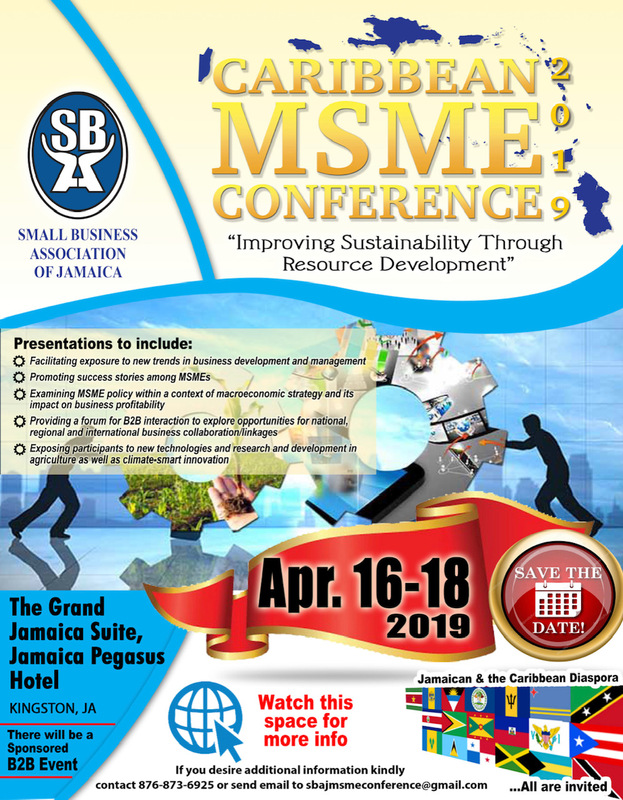 The 2nd Regional Micro, Small and Medium-sized Enterprise (MSME) Conference of the Small Business Association of Jamaica (SBAJ) will be held under the theme “Improving Sustainability Through Resource Development” on April 16-18, 2019 in Kingston. The Inaugural Regional MSME Conference in 2017 hosted 185 participants, 62 of which represented 28 countries from across the region. This year’s conference is expected to facilitate the gathering of a broad mix of stakeholders, particularly business owners, innovators, regulators, buyers and sellers of goods and services who will be networking, collaborating, promoting their capabilities and brands, developing new business and outsourcing opportunities. Micro and Small Business Owners offering products and services located locally and regionally who are interested in scaling their businesses and making their processes more efficient using automation, artificial intelligence, robotics and technology. Consultants, business counsellors, microfinance providers and policy makers are also included.